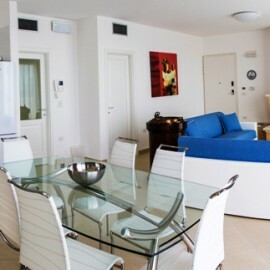 Residence Corte di Leuca offers its guests apartments located on the first and second floor with separate entrance and lift. 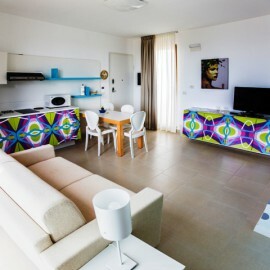 All the apartments have an equipped balcony, TV 19”, kitechen area, air -conditioning and hairdryer. 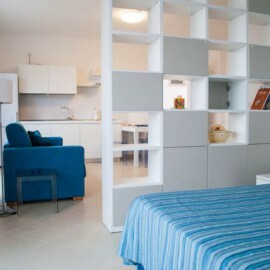 The apartments are new, featured by a modern style and with all comforts.